The name of the outstanding paleontologist and Türkic philologist Soslanbek Baichorov belongs to those few selected scientists who dedicate their life to the man-made enigma of the Türkic writings. 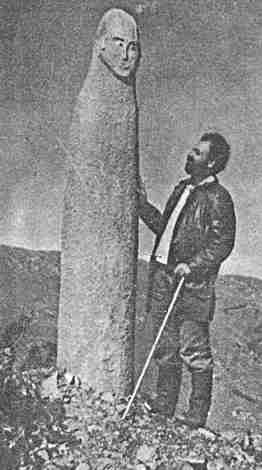 In his book, Ancient Türkic Runic Monuments of Europe, Soslan Baichorov provided readings for around 150 inscriptions, demonstrating a wide spread of the Türkic literacy in the Eastern and Central Europe, the giant spread of the Türkic inscription monuments, and the ethnic affiliation of the studied texts with the "d" and "dj" dialects of the Bulgarian language over the vast steppe expanses from Itil to Danube. S. Baichorov de-mystified the inscriptions attributed by the archeologists to the Alanian populations of the Khazaria, finding them to be legibly written in the Bulgarian language and detecting the dialectal nuances of it. And, to be able to accomplish the decipherment of the North Caucasian and Northern Pontic inscriptions, S. Baichorov had to establish the alphabetical specifics of the differing scripts of the different schools of writing, and the grammatical rules used in the conventional writings.